Colorful Christmas stockings hanging on the staircase. 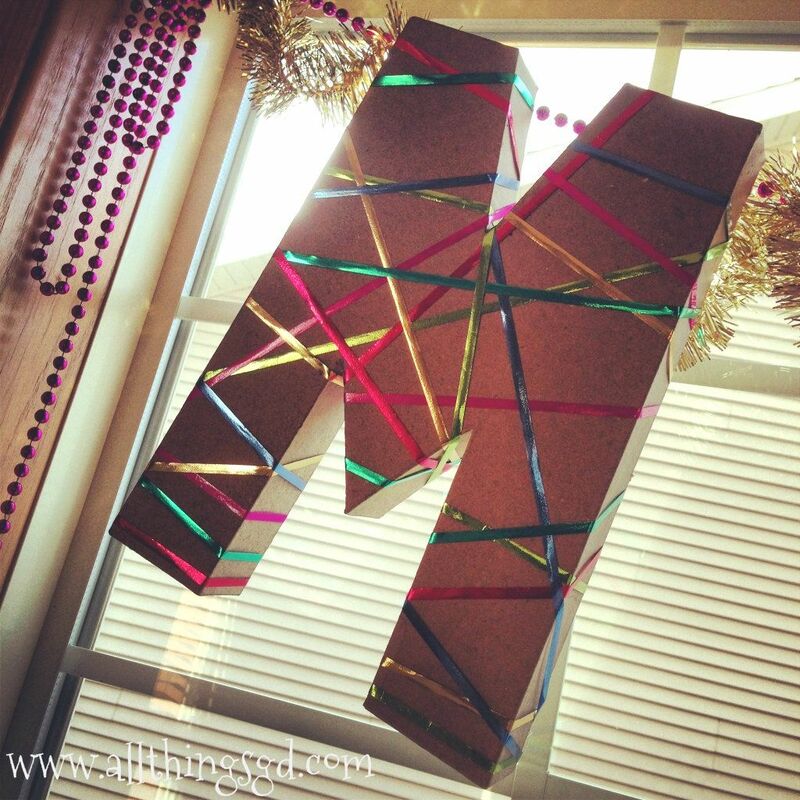 Metallic ribbon-wrapped letters? Amazing! Love this! I love the metallic letter! I just put up wrapping paper on the backs of my entertainment center and it was such a big pop of color for the holidays. I was wondering same question about “M”.. Does it spell something? @Christa: What a neat coincidence! @Heidi: I love that idea! Now you have me looking around my house trying to see what I can do that to, too. Great idea! @LB and Crystal: Yep, it spells something! Stay tuned to find out what! Love the stockings!!! So cute! 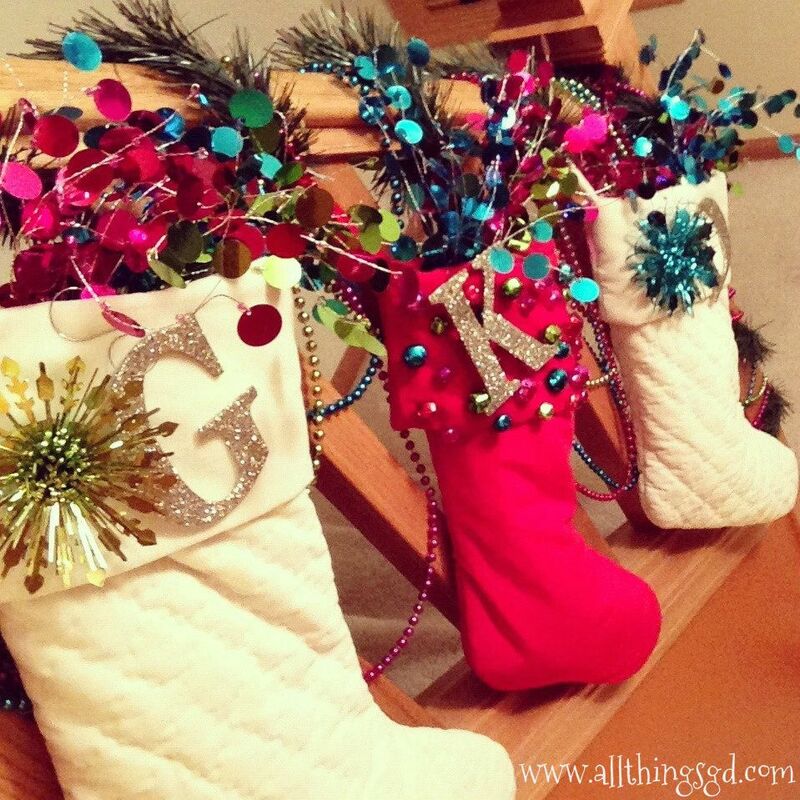 @Anne Marie: The letters are from JoAnn Fabrics – just a couple of bucks each! Look in their decoupage (sp?) section. Good luck!